creative people among its residents. in a relaxed, intimate setting. and "beauty" from an exceptional local artist. The Disintegration of my Ordinary Reality. insight into her creative process. 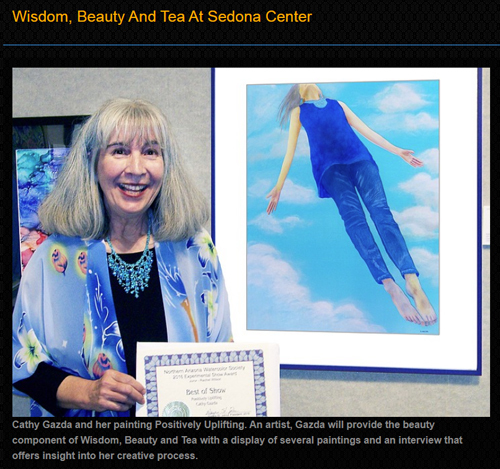 "To read full KUDOS article"
CLICK HERE: "Wisdom, Beauty and Tea at Sedona Center"